Growing Little Minds: Let's Get Acquainted Linky! 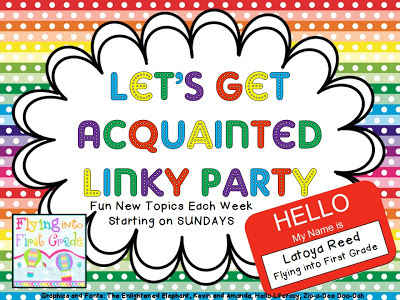 I've been a slacker blogger lately, so I'm going to link up with Latoya Reed's "Let's Get Acquainted" linky party so that I have something to post! I can't choose just one person! That's not fair! I don't have a significant other, and I have some really great friends, so I couldn't just choose one. I'd choose my dog, but I also have to choose a favorite animal, and I didn't want to double dip! I am probably happiest on my porch swing. But that's only because the beach is so far away! 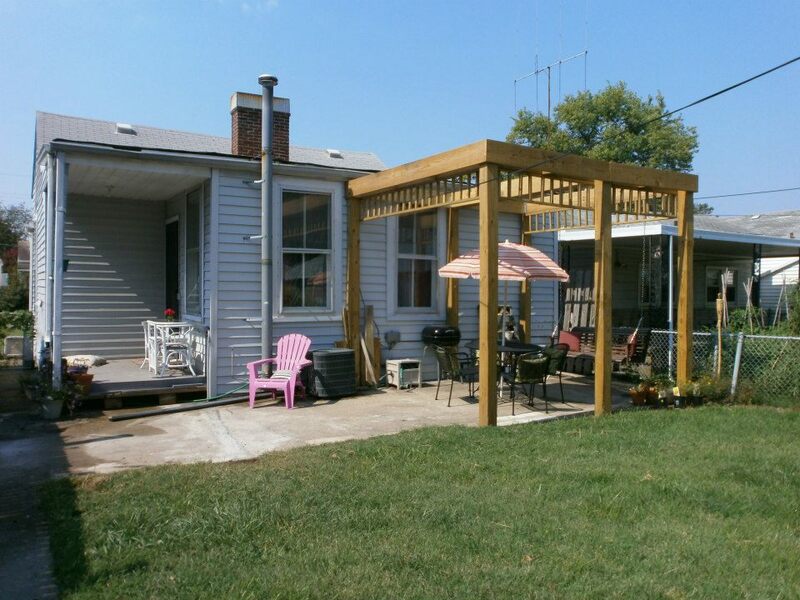 My dad and I built this pergola last summer, and though it's not completely finished yet, I love spending time on my back deck now! 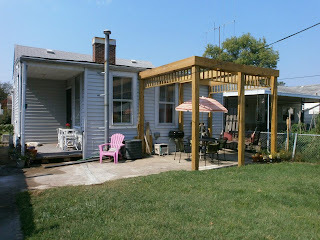 We also built the little porch beside the kitchen. I've also spent some time planting lots of beautiful flowers and plants to make my backyard much prettier than it was! It's like my own little oasis, almost. I appreciate it even more because of the HUGE difference between when I bought the house and now. I am convinced she needs a name. She seems to have a personality. Yes, I'm weird. I've also been selling them in my Etsy shop. 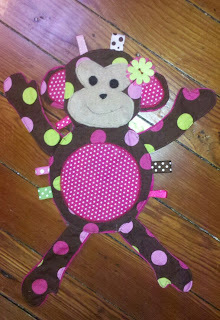 No monkeys listed yet, but they're coming soon! 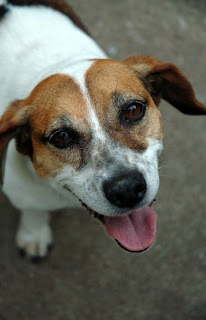 My favorite animal is my dog, Molly! She's just so sweet and funny and cute, and she's my whole world! I love that girl! I live alone with just her, so we're pretty tight. LOL. She thinks she needs to be near me all the time. If she's not begging my neighbor for treats. She's got everybody wrapped around her little wagging tail! Also, you can follow me at my Facebook page! I'm a little better about updating there! Just found your blog through the linky party. I love my porch swing as well. I can't wait to be able to sit on it and enjoy the spring and summer! Molly is cute. I have a Bella! I'm a new follower! Thank you so much! I will definitely send you an email, most likely this weekend! I love the monkey you made!!!!!!!! Darling!!!!!!! This month’s High/ Low Linky is up and running. I would love to have you join us again! Click here to link up. I can’t wait to read how the month of March has been for you. Thanks for letting me know about the linky! I will definitely have to link up!